Blockchain has created a buzz in financial services unlike anything else in recent memory. Since being introduced to the technology through the rise of Bitcoin, the industry has been awash with talk of blockchain and its potential impact. Some see this technology as a cure for all ills; others fear the unknown and the disruption it might have. One thing everyone agrees on is that blockchain is here to stay. The first work on a cryptographically secured chain of blocks was described in 1991 by Stuart Haber and W. Scott Stornetta. The first blockchain was conceptualized by a person (or group of people) known as Satoshi Nakamoto in 2008. It was implemented the following year by Nakamoto as a core component of the cryptocurrency Bitcoin, where it serves as the public ledger for all transactions on the network. Through the use of a blockchain, Bitcoin became the first digital currency to solve the double spending problem without requiring a trusted authority and has been the inspiration for many additional applications. It was not until 2011/12 that Bitcoin began to make the headlines as the crypto-currency increased in value and was accepted as a method of payment by a limited number of merchants. Bitcoin popularity came from mostly negative news stories, such as the use of Bitcoin on The Silk Road, an online black market, and the fall of Mt. Gox the largest Bitcoin exchange at the time. It was a hard blow for those who thought it could replace fiat currencies as corporates, banks and other traditional institutions quickly moved to distance themselves from the crypto currencies. But it became apparent that the focus should not be on the Bitcoin, as a medium of exchange, but instead on the underlying technology that facilitates the exchange. Another important thing, according to Macey, was the further work done by Fintech companies to expand upon the technology and principles of the Bitcoin blockchain to create more advanced solutions better suited to the complex nature of financial services. Macey highlights Ethereum as being especially innovative as it has enabled logic (smart contacts, for example) to run on top of the blockchain, creating a host of new opportunities for the banks to build new solutions. Banks did not begin working overtime on blockchain just because of the potential opportunities though; they also did it out of fear. The rest is very much history. Today, nearly every bank has a blockchain strategy and hundreds of fintechs are exploring a seemingly endless array of use cases for the technology. The peak of cryptocurrency popularity was during the 2017 and the beginning of the 2018. It seemed like Bitcoin was breaking records as each day passed. The popularity was also gained in Initial Coin offerings (ICO) and according to CoinSchedule, the total of $3,880,018,203 was raised in 2017 via ICOs. Above everything else, the blockchain technology started to have significant impact on the world. One of the industries that could mostly benefit from implementation of this revolutionary distributed ledger technology is the global banking sector. Some of the most important features of blockchain such as decentralization, immutability, efficiency, cost-effectivness and security, are calling for the mass adoption inside the financial industry which is now expected to undergo substantial disruption over the coming years. The Blockchain could make the financial services industry’s infrastructure much less expensive and the list of potential uses is almost limitless, from financial transactions to automated contractual agreements and more. Blockchain systems could be far cheaper than existing platforms because they remove an entire layer of overhead dedicated to confirming authenticity. In a distributed ledger system, confirmation is effectively performed by everyone on the network, simultaneously. This so-called ‘consensus’ process reduces the need for existing intermediaries who touch the transaction and extract a toll in the process. In financial services, that includes those who move money, adjudicate contracts, tax transactions, store information and so on. Ripple has developed a payment app that settles transactions instantly, in partnership with a consortium of 61 Japanese banks. The app, called Money Tap will first go live in the fall. 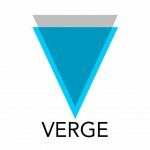 It will initially be available with three banks included in the consortium — SBI Net Sumishin Bank, Suruga Bank and Resona Bank — before being rolled out to the rest of the consortium. Ripple has also partnered with MoneyGram (NASDAQ: MGI), one of the world’s largest money transfer companies, to pilot XRP in their payment flows. As part of this agreement, both companies will also explore MoneyGram’s integration into Ripple’s ecosystem through xVia. Ripple has members from financial services such as Santander Bank, Standard Chartered, Westpac, Credit Agricole, American Express, Unicredit, BBVA, Mizuho and many more. For instance, Siam Commercial Bank (SCB), in collaboration with Japan’s SBI Remit, is using Ripple’s blockchain enterprise solution to power real-time remittance payments between Japan and Thailand. A first for the corridor, Ripple’s cross-border payments network solution is helping remittances from Japan reach SCB retail customers easily and faster than ever before. Approximately 40,000 Thai nationals currently live in Japan and total remittance flows from Japan to Thailand are roughly USD250 million a year. The rollout of this new service started end of June 2017 and supports individual funds transfers from JPY in Japan to THB in SCB savings accounts in Thailand. Once sent, the funds are credited to an SCB recipient’s account within two to five seconds, a significant uplift compared with the up to two business days it currently can take for a payment to be made between the two countries. SCB plans to roll out the service in other key markets across North America, Europe and Asia Pacific. “SCB invests in innovative technology, like Ripple, to provide our retail customers with the financial products and services they increasingly need in this digital age. Customers increasingly expect payments to work in real time, whether domestic or international. In September 2016, Ripple proudly announced the creation of the first interbank group for global payments based on distributed financial technology. Bank of America Merrill Lynch, Santander, UniCredit, Standard Chartered, Westpac Banking Corporation, and Royal Bank of Canada are the founding members of the network, known as the Global Payments Steering Group (GPSG). The group will oversee the creation and maintenance of Ripple payment transaction rules, formalized standards for activity using Ripple, and other actions to promote implementation of Ripple payment capabilities as the network continues to grow. GPSG is the first group of its kind; it is the foundation of a completely modern payments network. GPSG is the world’s only blockchain bankers’ network with defined rules and governance. One simple integration affords banks access to a global real-time transaction network. With payment rules and standards, process support and a built-in community, GPSG offers banks a low-risk way to start using blockchain technology today. These leading banks are working with Ripple to reduce the time and cost of settlement, while also enabling new types of high-volume, low-value global transactions. By coming together to form the GSPG, these banks are laying the foundation for a new payments network, underpinned by Ripple’s solutions and supported by rules and governance for global settlement. “We are committed to delivering innovations that support the evolution of global payments networks. We are pleased to join this steering group and explore practical applications for blockchain technology that will advance commerce in all regions of the world.” Said Jason Tiede, Head of Innovation, Global Transaction Services at Bank of America Merrill Lynch. On August 31st 2017, Financial Times announced that six of the world’s biggest banks have joined a project to create a new form of digital cash that they hope to launch next year for clearing and settling financial transactions over blockchain, the technology underpinning Bitcoin. 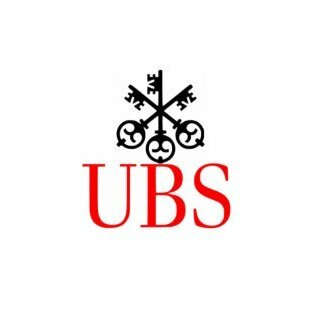 Barclays, Credit Suisse, Canadian Imperial Bank of Commerce, HSBC, MUFG and State Street have teamed up to work on the “utility settlement coin” which was created by Switzerland’s UBS to make financial markets more efficient. The utility settlement coin, based on a product developed by Clearmatics Technologies, aims to let financial groups pay each other or to buy securities, such as bonds and equities, without waiting for traditional money transfers to be completed. Instead they would use digital coins that are directly convertible into cash at central banks, cutting the time, cost and capital required in post-trade settlement and clearing. The coins, each convertible into different currencies, would be stored using blockchain, or distributed ledger technology, allowing them to be swapped quickly for the financial securities being traded. Existing members of the project are Deutsche Bank, Banco Santander, BNY Mellon and NEX. Mr. Jaffrey said that in the first instance, from the end of next year, he expected the utility settlement coin to be used for banks to pay each other in different currencies. For instance, if one bank owed $100m to a rival with a £50m debt in the other direction, the two institutions could transfer the money almost instantly using the new coins. Before the coins could be used for settling securities trades, he said the securities themselves will need to be transferred to blockchain systems, otherwise the benefits of speed and reduced capital requirements will be lost. Nasdaq, Inc. and Citi Treasury and Trade Solutions announced in May 2017 a new integrated payment solution that enables straight through payment processing and automates reconciliation by using a distributed ledger to record and transmit payment instructions. 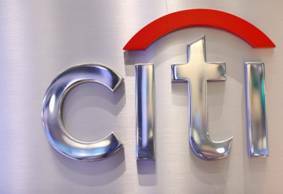 A number of payment transactions have been concluded, including Citi’s automated processing of cross-border payments via a link between the CitiConnect® for Blockchain connectivity platform and the Linq Platform powered by the Nasdaq Financial Framework. This collaboration has created a pioneering institutional banking solution that tightly integrates blockchain technology with Citi’s global financial network leveraging API technology. – Direct access to global payments from Nasdaq’s Linq platform using CitiConnect® for Blockchain and WorldLink® Payment Services, Citi’s cross border, multicurrency payments service. 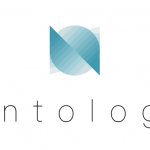 – Increased operational efficiency and ease of reconciliation with real-time visibility of payment transactional activity on the blockchain ledger. One of the most outdated processes in the banking industry is a trade finance and could greatly benefit from the blockchain adoption. The benefit will come in sense of cost and efficiency. It seems that this is the primary target for global banking blockchain consortium R3. The R3 is an enterprise software firm working with a network of over 200 banks, financial institutions, regulators, trade associations, professional services firms and technology companies to develop on Corda, their blockchain platform designed specifically for businesses. They are a global team of over 160 professionals in nine countries supported by over 2,000 technology, financial, and legal experts drawn from their global ecosystem. Corda is the only enterprise-grade blockchain platform that removes costly friction in business transactions by enabling institutions to transact directly using smart contracts, while ensuring the highest levels of privacy and security. Corda was originally built by the financial industry, for the financial industry. It was developed in close collaboration with a vast network of banks, financial institutions, regulators, trade associations, professional services firms and technology companies to leverage the power of blockchain to address their specific business challenges. As Corda was designed to meet the highest standards of one of the most complex and highly regulated industries in the world, it can be applied seamlessly to all other areas of commerce. They managed to raise a record $107 billion in a fundraising round in May 2017, the biggest single investment for any blockchain to date. And now the collective is close to launching its first pilot commercial product. Eleven of the banks—Bangkok Bank, BBVA (Banco Bilbao Vizcaya Argentaria), BNP Paribas, HSBC, ING, Intesa Sanpaolo, Mizuho, RBS (Royal Bank of Scotland), Scotiabank, SEB and US Bank—are preparing to use R3’s blockchain software Corda to test an application aimed at cutting costs and increasing efficiency in the processing of sight letters of credit, which, as it is intended, will be payable immediately upon receipt of the letter and supporting documents by the relevant financial institution. The product is reported to have a few key standout features. 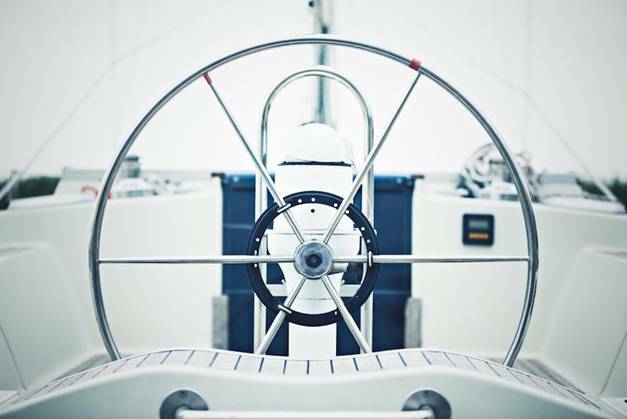 Firstly, it will offer a standardized interface to its users, such as carriers and shipping companies, for inputting shipping details, even in the absence of Corda. This means users won’t need to buy a new platform or train people to use it, and will be able to acquire users more easily. Secondly, the application could result in reducing the costs and complexity of existing processes, which in turn means that SMEs (small and medium-sized enterprises) will ultimately be able to access funds more quickly using sight letters of credit than other methods of trade financing. It will also mean that trade finance could be accessed by a wider range of potential users. The banks have been working on the product for more than a year, and are on schedule to launch in 2018. Besides R3, there others at the moment looking to enhance the trade finance process by adopting blockchain technology. Deutsche Bank, HSBC, KBC, Natixis, Rabobank, Société Générale and UniCredit announced in January 2017 that they were banding together to build a “Digital Trade Chain (DTC),” a blockchain-based trade finance platform. DTC will use the same technology that underpins digital currency Bitcoin to connect all parties involved in international trade — buyers, sellers, transporters, banks financing the deals, and so on. The hope is that this leads to more financing for people lower down the chain as banks can be confident seeing the end buyer is good for the money. The contract is a significant for IBM as it means DTC will be built on IBM’s blockchain platform of choice, Hyperledger Fabric. That likely means lucrative servicing contracts for IBM and may make banking execs more likely to commission more Hyperledger-based products and services once they’re familiar with the system. Hyperledger is an open-source blockchain project set up by the Linux Foundation. IBM is one of more than a hundred companies who back the project and contribute code to it. Hyperledger Fabric is one of three main blockchain-based systems vying to become the next-generation “operating system” for financial services. IBM also announced the launch of a new enterprise Letter of Guarantee network based on IBM’s blockchain in cooperation with Kasiko Bank, one of the Thailand’s largest banks. The new solution is designed to help simplify and expedite procedures for KBank’s Letter of Guarantee process, with the goal of improving the customer experience, strengthening security and reducing costs for clients and the bank. There are many obstacles in implementing blockchain that are not just technical. The real challenge is politics, regulatory approval, and the many thousands of hours of custom software design and front and back-end programming still required to link up the new blockchain ledgers to current business networks. There is also a question of trust and trust does not occur overnight. This is the challenge facing both individual institutions and the industry as a whole. For blockchain to be adopted on a large scale, there is a need to experience a migration of trust from today’s effective and expensive central counterparty utilities to the distributed model. The business benefits for many players, or even the industry, will not materialize if the ‘trust issue’ is not addressed effectively. Some of the obstacles that lie ahead: understanding whether or not the public ledger can be hacked, addressing Bitcoin’s negative reputation, and navigating potential regulatory challenges related to blockchain’s adoption. For example, while confirmation is effectively performed by everyone on the network simultaneously, if a majority of the participants forming the network consensus model were to collude to transact a fraud, a ledger might be manipulated. This might be an issue in a relatively small network without proper vetting procedures. There is also a need to address security limitations with linked technologies, like the external systems that monitor events to trigger blockchain transactions once conditions have been met. Given the extraordinary range of options and potential technology partners, one of the bigger challenges is to sort through the hype. Once you have a clear vision of where to apply the technology and why, it will be easier to create a workable implementation plan for building blockchain into your infrastructure.